Could you make a claim after illness at Liberty Hotels Lykia? Could you still be entitled to compensation after illness at the Liberty Hotels Lykia? Throughout the summer of 2014 our holiday claims team was contacted by more than 50 holidaymakers affected by illness atÂ Liberty Hotels Lykia in Turkey (formerly Lykia World Oludeniz). The team has continued to receive enquiries into 2015, with holidaymakers running into constant difficulties in their attempts to deal directly with their tour operators. Many visitors to the Thomas Cook promoted hotel experienced symptoms including vomiting and diarrhoea during their stays. Amongst those affected by the sickness bug outbreak was a wedding party of 37. 33 of the 37 guests were struck by illness, with the bride and two bridesmaids falling ill on the day of the wedding. 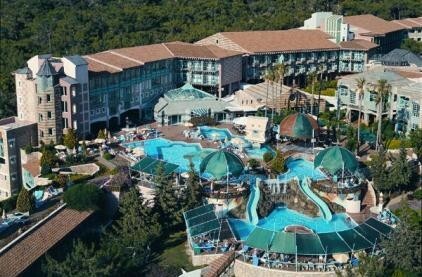 âLarge numbers of holidaymakers have been affected by the continued outbreaks of illness at the Liberty Hotels Lykia in 2014.
âIf anyone has fallen ill during their stay at this hotel in 2014, it is not too late to make a claim. We speak to many holidaymakers who have received an offer from their tour operator of a small amount of compensation or a voucher in settlement of their claim. Yet this often seriously undervalues the claim. âWe would always recommend seeking expert legal advice before accepting any offer to settle made by a tour operator. Here at YourHolidayClaims, we represent clients on a no win no fee basis, helping them obtain compensation for the illness they have suffered, the loss of enjoyment of the holiday and any out of pocket expenses incurred as a result of the illness on their package holidayâ. To discover whether you may be entitled to make a no win no fee holiday illness claim, contact Your Holiday Claims today. Our dedicated holiday claims team has over 50 years combined experience successfully handling holiday illness compensation claims. They have the background knowledge and expertise to help you obtain the best possible outcome for your claim. To speak directly to a holiday claims expert today, call us onÂ 0330 100 2851 now. Alternatively you can arrange a call back at a time that is better suited to you by launching your claim online.